There are certain pieces of gear I consider––essential. Being prone to wander far from the comforts of a heater, my insulation layers are often the only thing keeping me from becoming a six foot tall popsicle. 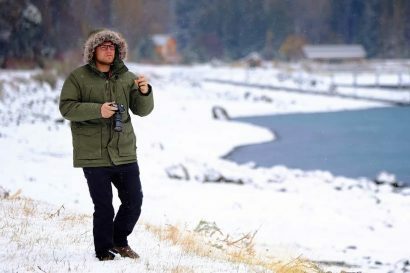 One item I never leave behind is a good lightweight down jacket. If temperatures are favorable, it still finds service as a pillow, but more often than not it gets used as a morning warmer, a daytime layer, or critical backup if my sleeping bag gets chilly. 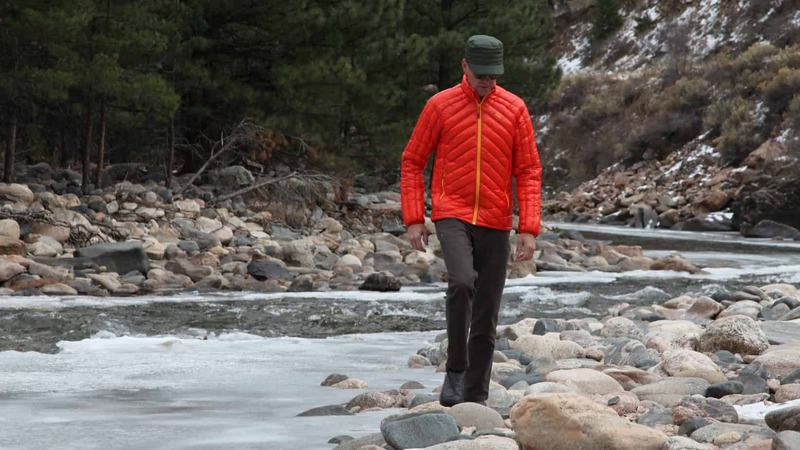 As winter set in this year, I couldn’t wait to test the Big Agnes Meaden Jacket as I knew it was going to become my new backcountry favorite. 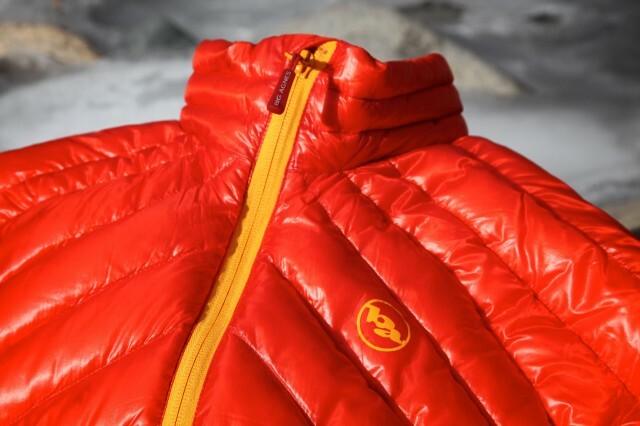 Made of the best materials the industry has to offer, and designed by the outdoor savvy experts at Big Agnes, I knew it was going to be awesome––and it is. The end-game with the Meaden Jacket is to provide optimal warmth with minimal weight. That sounds easy enough, in reality it’s anything but. To keep the bulk and weight as etherial as possible, Big Agnes built the Meaden with a hyper-light nylon ripstop shell. That outer shell has a highly calendered finish. Calendering is a process by which fabrics are rolled between warmed rollers producing a tight finish with a high sheen. This tightens the weave helping to retain down and further repel moisture. The real key to the Meaden’s performance is the insulation. 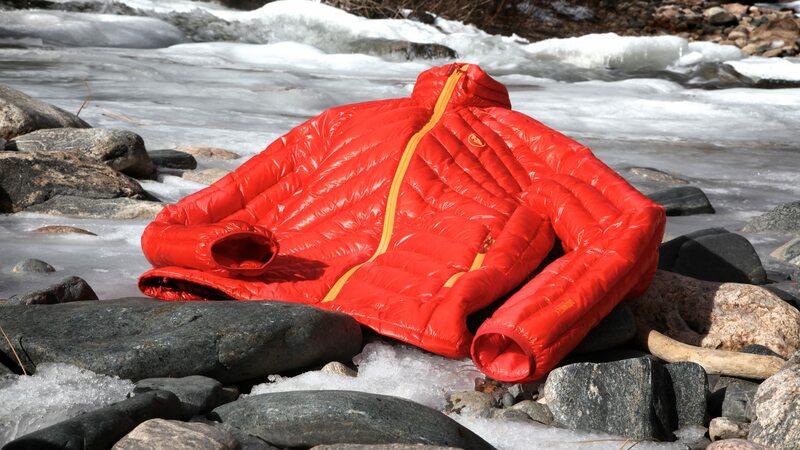 Big Agnes elected to fill the jacket with industry leading 850 DownTek water-resistant down. 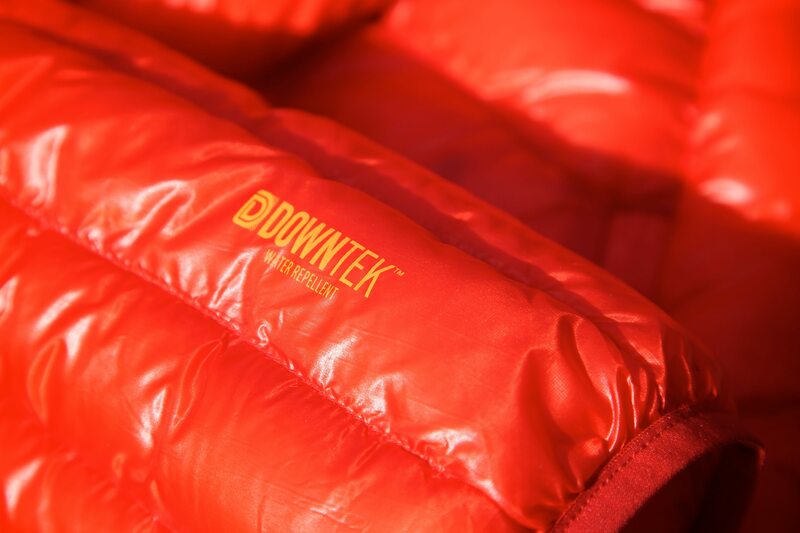 DownTek is like backcountry black magic as it resists getting wet, and if it does get soaked, dries with science-defying speed. The premium down and light shell contribute to the jacket’s impossibly low weight of just 326 grams. Impressive as that is, there’s more to the Meaden than just its gossamer weight. 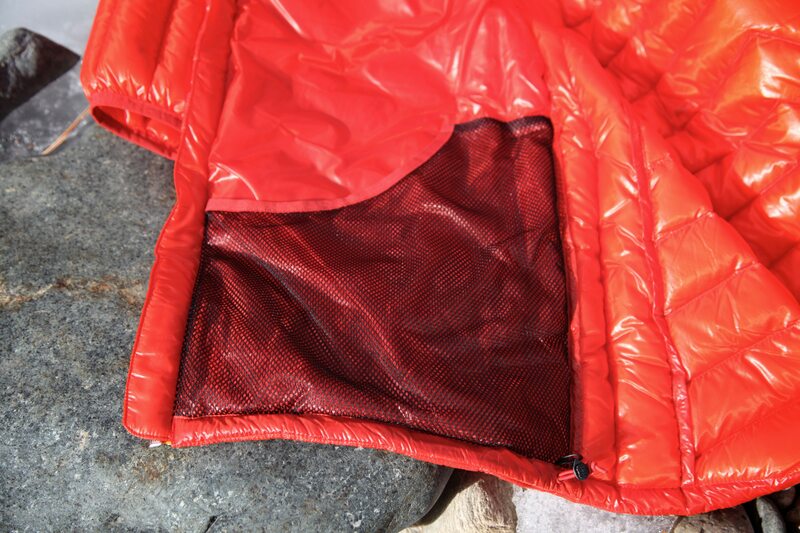 The internal chest pocket doubles as a stuff sack and two large mesh pockets help keep essentials close at hand. Thumb holes in the sleeves prevent bunching when adding over-layers, and a full length draft tube behind the main zipper seals out the ingress of cold air. Perhaps the most important attribute of the Meaden is the construction of the individual baffles. Unlike many jackets, the Insotect Flow™ vertical and diagonal baffles resist compression due to body movement, something that seems like a gimmick until put to use. Aligning the baffles to work with natural movements just makes good design sense, and it really does work. If you swing by the OI office wearing a bright orange jacket, you’re likely to get raised eyebrows from some of the team. 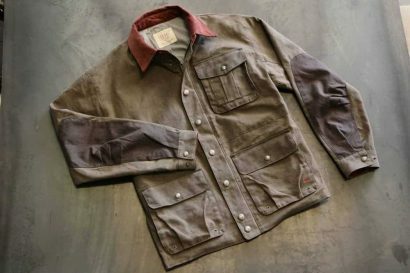 While many overlanders favor natural tones, some of us want to be seen. If your primary means of travel is within a vehicle, something you might stay near in an emergency situation, color may be inconsequential. If however, you are the largest visual target a SAR team might be looking for, being dressed like a spruce tree, within a spruce forest, might not be so ideal. Orange for me, please.